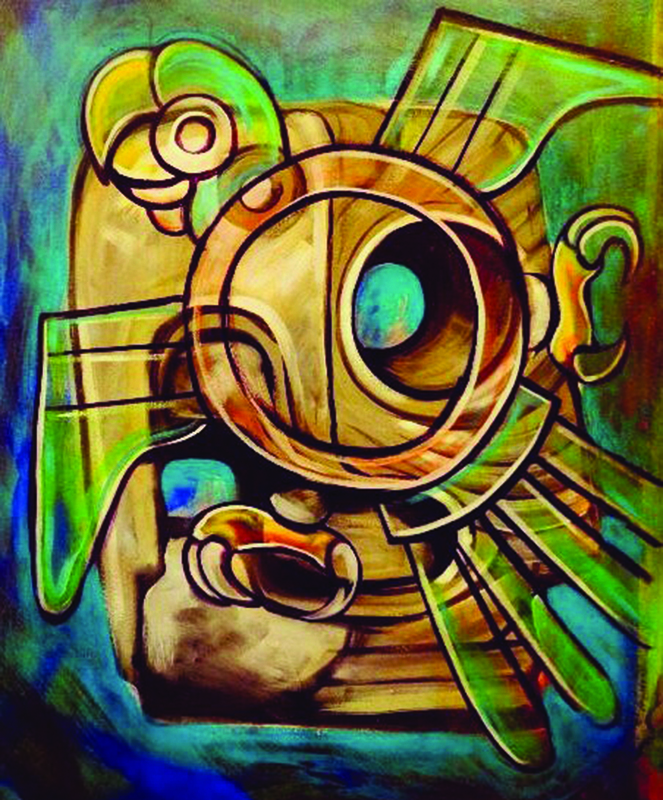 Special thanks to Raúl González, of Mictlan Murals for the image above, Dos Pericos, acrylic on canvas. A flock of parrots gathered on a tree to interrupt the tranquility of the cemetery, to chatter and build community. They sounded like a big group of comadres gathered around the dinner table drinking wine. The beautiful birds were there to fill-in our ancestors on the on-goings of the neighborhood. One told of how the streets were still calm if compared to the decades of drugs and the crazy life. Another marveled, at a high volume and pitch, at all of the new buildings and the different looking people moving in. A third comadre commenting on how she had not seen people so light since the owners of the shops on Brooklyn a long time ago… Several commiserated over the sad state of the schools so many years later. They chatted of the wonderful jogging track and of how it attracted so many brown faces in their quest for better health. They squawked about the beauty of the morning sun and cool breeze, yet again, in the barrio. Their chisme interrupted by a barking dog, they took pause to turn their loud banter against the rude furry one. They soon bored of scolding the mutt and resumed their stories of what they see and hear when flying over the rooftops and concrete. One mentioned to the graves how it seems that people interact a lot more with their technology than they do with other people. Another screeched in agreement and told of how parents could not compete with tablets or phones for their kids’ attention. The only sounds remaining were the passing traffic and the in-flight chisme of the parrots trailing off. Leaving our ancestors to ponder the news brought by the flock. Giving them space to mourn for the living, knowing that all too soon, they’d be joined in the spirit world by some of the local youth. Luis Reyes is a Chicano writer from South Central L.A. who now calls East Los home. A graduate of El Camino College and UCLA where he wrote for La Gente de Aztlan, he attended Roosevelt H.S. graduated as a proud Roughrider in 1995. 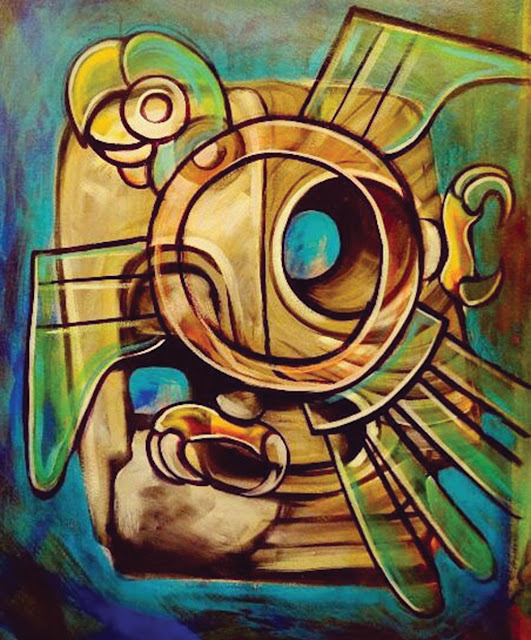 Special thanks to Raúl "Chose" González, of Mictlan Murals for the image above, Dos Pericos, acrylic on canvas.